Electropolishing is one of multiple methods of finishing metal, making the metal polishing sector a key part of the whole metal finishing industry. Electropolishing helps manufacturers smooth and streamline metal surfaces, eliminating any microscopic torn surfaces. Electropolishing is particularly useful for manufacturing of heat exchangers, storage tanks, clean rooms, processing equipment for foods and beverages, nuclear applications and medical equipment. 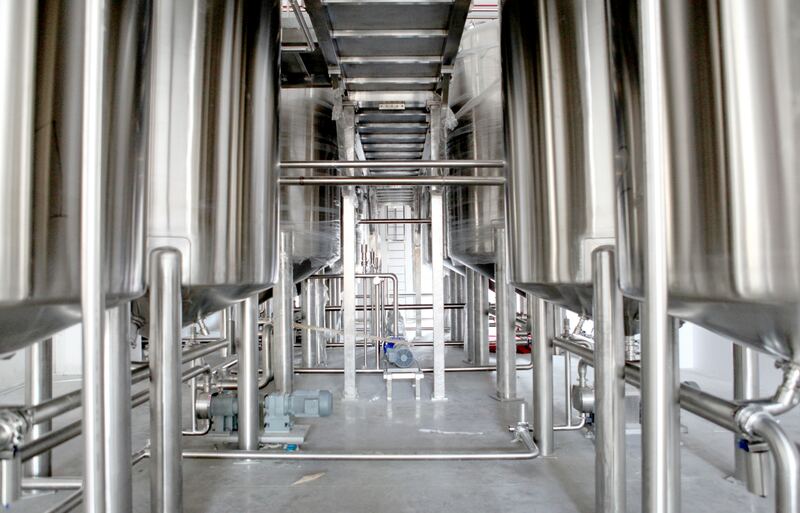 Metal polishing serves similar purposes and industries, including polishing surfaces to fight corrosion and eliminate spots for bacteria or mold to thrive. Metal polishing and electropolishing make up a small fraction of the metal finishing industry, with just 27 companies within this sector. Together, these companies provide 1,638 jobs to workers across the country. By comparison, the entire metal finishing industry has 4,093 companies and 93,022 jobs. While the current number of jobs in metal polishing and electropolishing is 1,638, there were 1,663 last year. This represents a decrease of 1.5 percent. By comparison, the metal finishing industry as a whole had a 1.8 percent increase in jobs, going from 91,323 to 93,022. The average sales for the electropolishing and metal polishing industry are more than $448 million, an infinitesimal 0.0022 percent of the entire $20 trillion-plus manufacturing industry. This figure seems less dramatic when you consider that even metal finishing as a whole makes up just 0.18 percent of all manufacturing sales. With metal finishing enjoying average sales of almost $37 billion, metal polishing and electropolishing account for 1.21 percent of sales within metal finishing. While this is a small segment of the overall industry, it is much larger than other finishing methods, such as buffing. Although it makes up a small fraction of all manufacturing or even metal finishing as a whole, metal polishing and electropolishing are an important part of the industry. With broad applications and numerous benefits associated with the processes, this is an industry to pay attention to. Additionally, even though there are few companies in polishing compared to other metal finishing categories, there are more than enough for potential clients to have options of whom to work with. IndustryNet can help you find a industrial supplier near you. Click here for the full list of U.S. metal polishing and electropolishing companies. Related Companies: Control Electropolishing Corp.